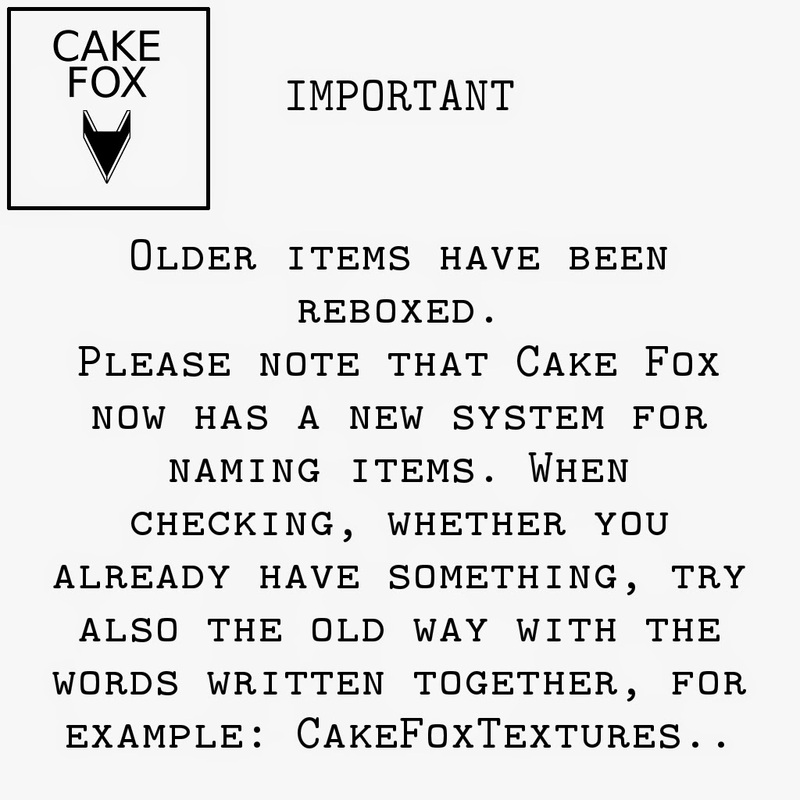 Cake Fox has gone through some big changes. We have a new logo, a new system for naming items, and a new location. Visit Cake Fox Mainstore at Haven Shire. Please remember, the sim is pg-rated. Thank you for your continued kindness and support.